When Evan Young enlisted in the military nearly 20 years ago, he was a lesbian, or so he thought. It wasn't until 2011, that he began to realize he was transgender. But Young, who then was a public affairs officer in the U.S. Army, said he felt "pressured" to hide who he was as the military had not yet lifted its ban on transgender members, prohibiting them from serving openly in the country's armed forces. "It was very difficult," Young said of the experience. "I felt pressured to try to hide who I was, yet, I still needed to change my gender." Young was administered hormones in 2012 by a civilian doctor subsequent to undergoing a hysterectomy for "reasons other than gender transition," he told AOL News. And as result of the testosterone he was taking, he began to see striking changes in his voice and appearance. Young said his voice began to deepen dramatically, and he started to look more masculine. "At first I thought I had a cold, but [my voice] just continued to kind of crack and get worse," Young said. "I talked little," he said, and soon became a "recluse." He grew cautious about leaving his office after the new cadets greeted him as "sir," while older colleagues began growing more attentive to his physical changes. "My commanding officer there had suspicions and I was under investigation for being transgender, and they didn't have anything on me to prove that I was, so I felt that it was kind of like a witch hunt," Young said. "They were out to get me." But this was a feeling Young said was all too familiar. "I'd been through that in the military before, back in the nineties, as a lesbian." In 1994, the military's discriminatory "Don't Ask, Don't Tell" ban on gay and lesbian service members was enacted under former President Bill Clinton's administration, a policy he later said he regretted in 2010 amid its repeal. Young said then he was interrogated by the army's investigative services to list all of the "gay and lesbian friends that I had," under his leaders' suspicions that he was homosexual. But they ended up letting go of the investigation. "They didn't have anything on me then and they didn't have anything on me this time," Young said, considering himself "lucky to retire medically and get out of there." He contends that he wanted to stay in as long as he could, but he also wanted to transition. "So, I knew I had some medical conditions that I could probably get out on and I pushed on those things," Young said. He was medically discharged in 2013. But the struggle was not yet over for Young, who continued to face obstacles well after being discharged. 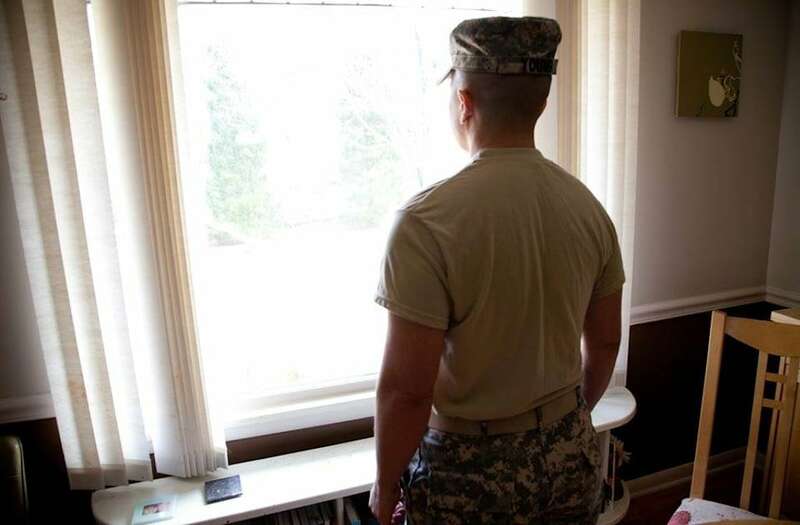 In 2015, Young faced the Army in court after it denied him of discharge papers, which are crucial to veterans when applying for jobs, that reflected his newly changed name. 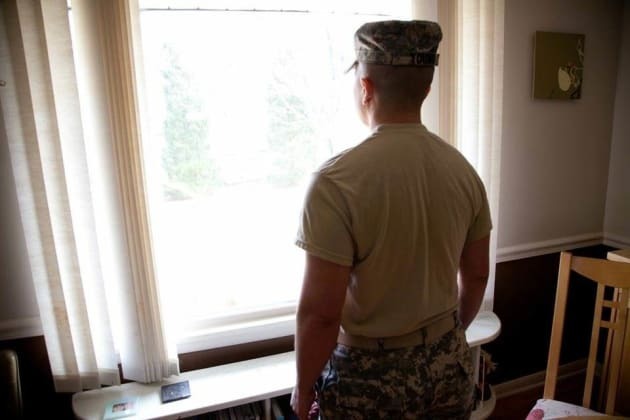 In the end, Young was one of three transgender veterans allowed to modify their papers in an unprecedented decision, three years before the military would lift its ban on transgenders being able to serve openly in the U.S. military. In efforts to help other trans veterans, Young became a member of the Transgender American Veterans Association (TAVA) in 2013. TAVA is a non-profit organization that assists trans veterans in receiving the care and benefits they deserve, where Young now serves as president.